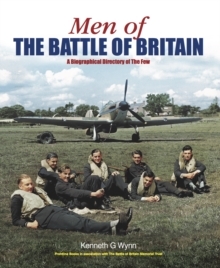 Since it was first published in 1989, Men of the Battle of Britain has become a standard reference book for academics and researchers interested in the Battle of Britain. Copies are also owned by many with purely an armchair interest in the events of 1940. 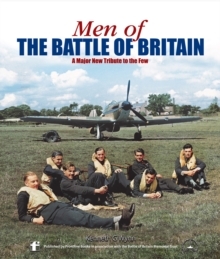 The book records the service details of the airmen who took part in the Battle of Britain in considerable detail. Where known, postings and their dates are included, as well as promotions, decorations and successes claimed flying against the enemy. There is also much personal detail, often including dates and places of birth, civilian occupations, dates of death and place of burial or, for those with no known grave, place of commemoration. There are many wartime head-and-shoulders photographs. Inevitably the high achievers who survived tend to have the longest entries, but those who were killed very quickly, sometimes even on their first sortie, are given equal status. The 2015 third edition will include new names and corrected spellings, as well as many new photographs. Plenty of the entries have been extended with freshly acquired information. The stated nationalities of some of the airmen have been re-examined and, for example, one man always considered to be Australian is now known to have been Irish.